I want to make your job as easy as possible. 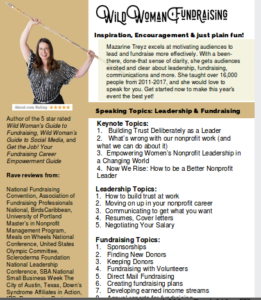 I can speak on leadership, fundraising, marketing, and government contracting. I can also give a free promotional webinar to you and your group as a taste of my presentation style. Just ask! Allow me to sell my books in the back of the room. We can discuss bulk discounts for your event.